All the elements of this card (apart from the flower and sentiment) come from the Crafters Inspiration CD rom free with issue 18. I used the Jungle of Dreams collection. I loved the fact that the inky backgrounds were on the cd rom as crafting at the dining room table still meant that I had no inks to hand or room to get messy. The foiled sentiment I made using the go press and foil, and the flower were in my "use at some point" box! I cut out the flamingo and the flower leaves from cdrom elements. I added some little "unicorn" sprinkles I bought from Paperchase. I bought them online and did not realise they were so tiny and they get everywhere. However, the bright colours suited this card and I also added a couple of sequins. This card is for the 9th birthday celebrations at CD Sunday challenge - Congratulations ladies on achieving 9 years. 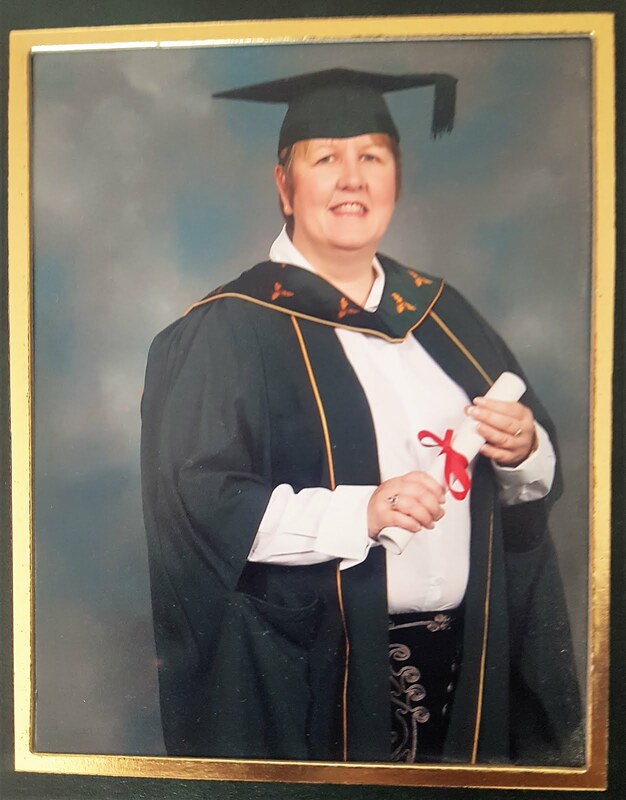 A little reminder about our challenge this month over on Penny Black & More challenge. For my DT card I used once again this month a stamp from the blooming garden set. I coloured with inktense pencils and added the sentiment from Penny Black 3626E ... in my thoughts. CAS - with just some shadow using a promarker pen to highlight the image. 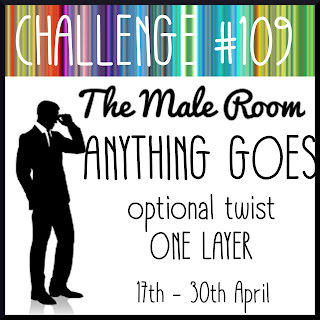 This fortnight at The Male Room challenge we would like to see "anything goes" or if you are brave an optional twist of one layer. I was brave and went with one layer lol! I took some DI oxides and a set of clear round stamps and just put the ink on and spritzed - then stamped them onto the card. I added a sentiment from a CC set and some arrows from a Happy Stamper set. Hope to see you at The Male Room this time. Our theme this week at Allsorts has been chosen by Brenda. She'd like to see Butterflies, blossoms and bugs. It's not often I make cards with butterflies - although it seems I have plenty of dies of them lol! I decided to get them all out and also the butterfly and ladybird dies and see what I could come up with. The background is a sheet of CC metallic printed butterfly paper, which I inked the edges with a CC inkpad. Then I cut a frame and added that to hide the ink line. The butterflies are by tonic and one by Tattered lace. I cut the large one a few times to inlay the pieces. The other two I used some vellum to the back and added it also to the butterfly wings and the chloe stem die. Our challenge will run for two weeks this time. 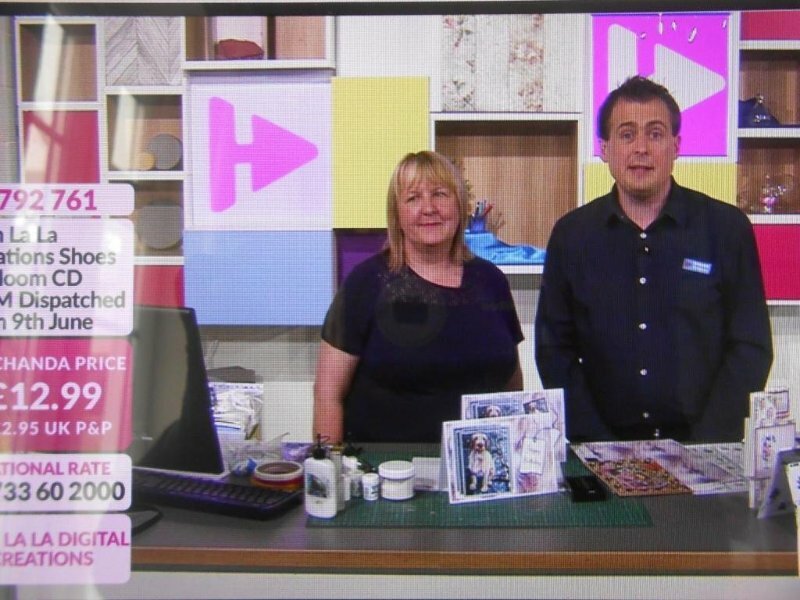 The winner (chosen by random generator) will receive a £15 voucher for The Paperbox Limited. I'm working with limited resources at the moment as I've got work going on in the house and so I have decanted a selection of crafting items to the dining room table. I have a few boxes of snippets and bits of things that I have tried or not fitted onto a card, so I thought it was a good opportunity to sit and try and use some of them up! All the paper and card are snippets and the sentiment is from my box of gopress foil items. I find it is easier to have it on and do a lot of things at once, but then they don't always get used. I'm entering this into the Pixie's snippets Playground #349. Where Di also has lovely photos of puppy Dudley the Havanese - he's adorable. 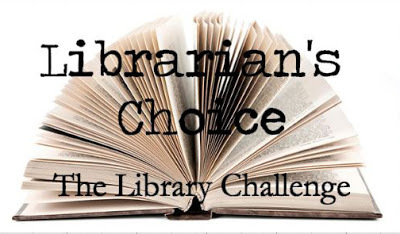 Our new challenge begins today over on the Penny Black & More challenge. For my DT card I used Brushos on a gelli plate. 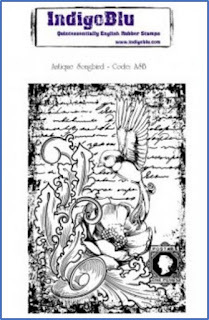 I concentrated the red colour in the centre and stamped over with the tulip stamp from the Penny Black Set 30-155 Blooming Garden and a sentiment from the set 30-280 A Sweet Day. I didn't think it needed anything else, so simply mounted it onto the base card. Hope to see you over at the challenge where are sponsors this month are Penny Black, Woodware and Rare Earth. Helene has chosen the theme of "Sentiment in Focus" for the challenge this week at Allsorts. For my DT card I used some neon ink daubers to colour the card then stamped an Apple Blossom sentiment stamp set which I embossed in black. I added a few Gummiapan stamps for the grunge background. This weeks winner (chosen by random org generator) will receive this useful set of sentiment stamps from our sponsor Bee Crafty. 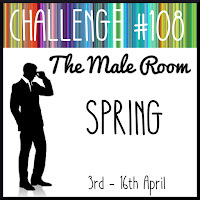 Our new challenge starts at The Male Room today and the theme is Spring. I chose these fox and leaf patterned papers from my stash and teamed them with this CE fox and sentiment stamp which I stamped onto some paper from a pad by MFT adding a small background stamp. Then I affixed the sheets with some green staples. 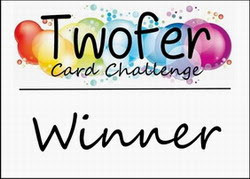 Thanks for looking and I hope to see you over at the challenge with your Male cards. 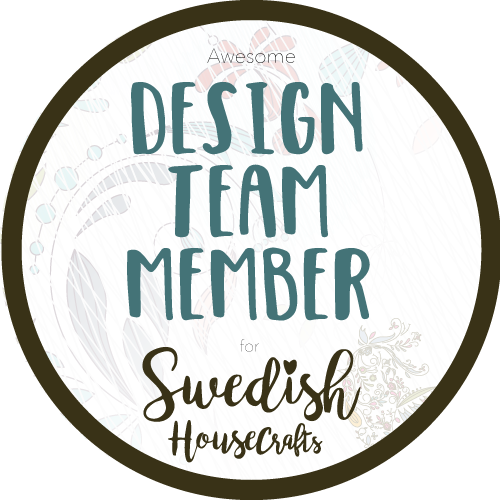 Hello I'm here today with my first ever Paper Nest Doll Stamp project for Swedish House Crafts! Exciting! It's my turn to host the Allsorts challenge this week and I've chosen the them of "use yellow". This was as much a challenge to myself as I don't use yellow very often. So I surprised myself by making two cards I really like! I used an Altenew watercolour cover die in black gloss card for the first card. The flowers and leaves are from a die set by Julie Ebersole for Ellen Hutson. I cut them from two shades of yellow and layer up. I did the same with the leaves using a polka dot green card too. The sentiment die is cut from white gloss card. Finally I added a few sequins. Then I had some flowers and leaves left over. I cut the watercolour die again this time from black card and cut away about a third of it. The sentiment is from papersmooches. Our winner this week (drawn by random generator) will receive this lovely stencil and cute stamps. I made this acceptance card for a wedding using MCS Shopfronts cdrom. I was rather pleased with the way it turned out. I superimposed the extra wedding dresses onto the front and added the wording. Just a chance to play with dresses really. 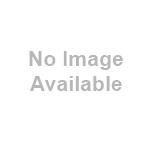 Only to find this week that the Bride and Groom to be are not expecting acceptances by post. They have a gmail email account all set up especially for the purpose. So modern! I'm entering this into the CD Sunday challenge for anything goes. This week at Allsorts challenge Ellie has chosen the theme of Feathered Friends. I was recently lucky enough to win a set of Hobbyart stamps from one of the Papercraft magazines and these stamps are in the set. I first stamped the owl and embossed in black powder. Then masking the owl I used the fern stamps and heat embossed with clear powder to form a resist. Then I inked over them to create a background using Crafters companion inks in three shades of green. I used a paintbrush to faux bleach over the design. I coloured the owl and branch with water and distress inks. The base card I randomly stamped with the ferns. 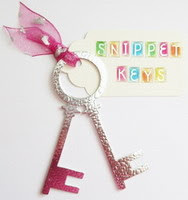 I also made this bookmark to complement the card and for the greeting. I didn't put a greeting on the front of the card in case the recipient wants to frame it. The winner this week drawn by random generator will receive this lovely stamp. Our challenge at The Male Room this week is for "DIY". I had a few ideas kicking around for my DT card when I thought of using the phrase "paint the town red". 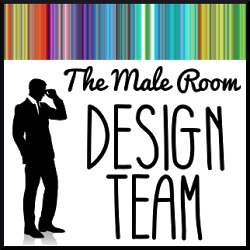 I was going to do it on the PC when I realised I actually had it on a stamp set - doh! The stamps I had already picked out from a Cardio set - so it all went together and I used a die from a mag for the "town"! Hope you can join us at the challenge this fortnight. The other ones I coloured the areas myself with a promarker and made this selection of cards. Using card in a complementing colour to mount. Eventually I put a set of new inks in the printer and it printed the first card you see. I didn't do that to begin with because it was showing they were full and I only changed them recently. I'm entering these into the anything goes challenge at CD Sunday. I'm a crafter and a lover of books. I try to combine both with a cup of tea and chocolate!